How well do you know the Xbox One S? Simply fill in the blanks for each of its feature and tell us your answers in the comment box below to stand a chance to win an Xbox One S (1TB)! 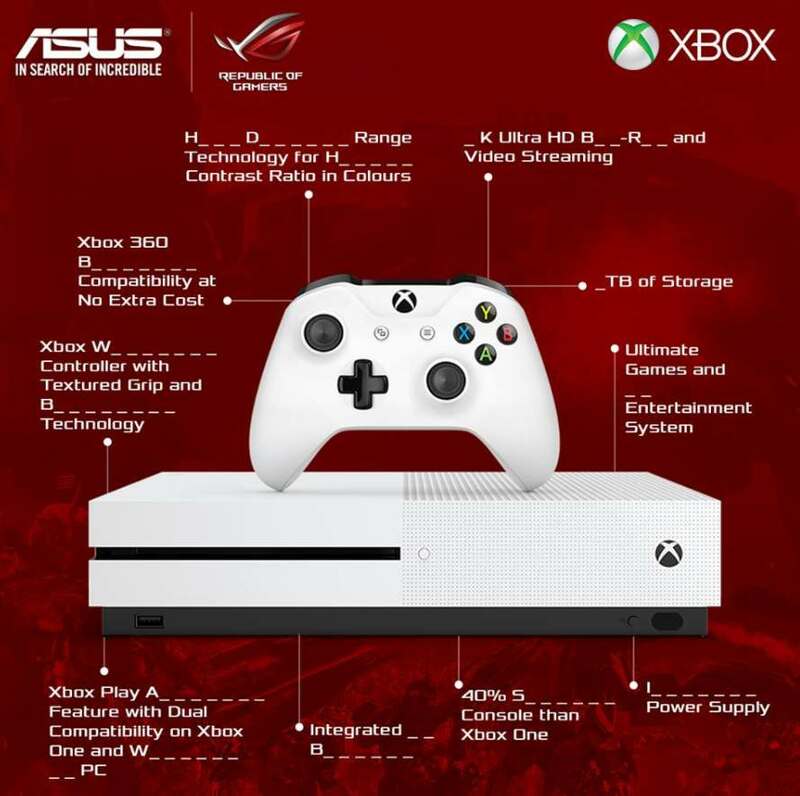 Find out more at ASUS.